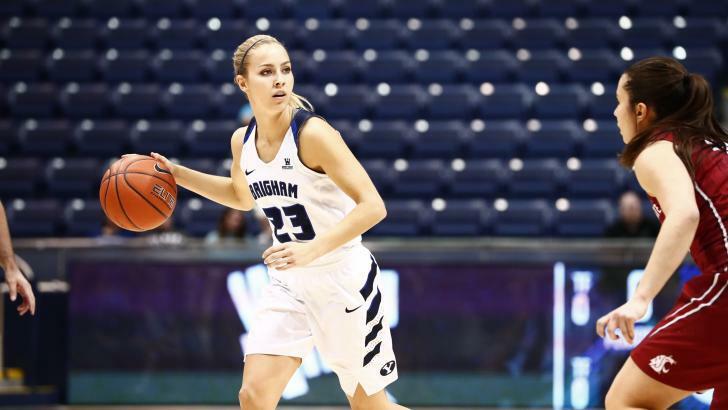 Despite strong offensive efforts from Makenzi Pulsipher and Cassie Broadhead, BYU women’s basketball fell to Washington State 72-64 in the first round of the National Invitation Tournament on Thursday at the Marriott Center. Pulsipher scored a game-high 23 points. Broadhead also scored in the double-digits with 14 points. BYU head coach Jeff Judkins said Pulsipher refused to back down. 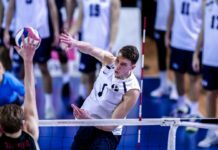 Ultimately BYU was unable to take control of the offense and opened the way for WSU to put pressure on BYU with fast hands for 20 steals, leading to 26 points off turnovers during the game. The Cougars scored on their first three possessions to take an early lead. Shooting 76 percent throughout the first half sent them into the second half with a 12 point lead. Washington State picked up the pace to close the gap to only three points in the first four minutes of the second half, but BYU regained control with a full-court press. Despite back to back treys from Pulsipher and Brenna Chase, WSU kept up the pace and the going into the fourth quarter there was just a one point deficit. 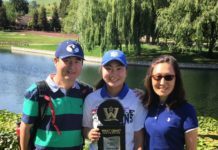 BYU fell behind for the first time with only three minutes left in the game, giving WSU the momentum they needed to increase their lead by eight points for the win. The Cougars finish off the season with a 20-12 record.